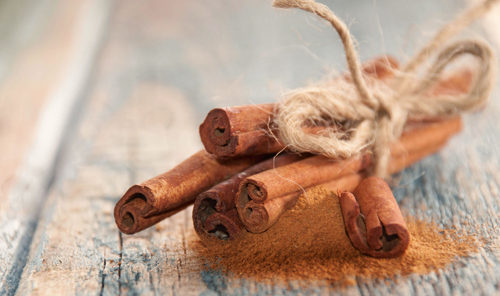 Cinnamon does not only taste good, it also contains many health benefits such as: anti-clotting and anti-microbial actions, blood sugar control, it boosts brain function, its calcium and fiber protect against heart disease and improve colon health, among other things. Cinnamon is not a commonly allergenic food and is not known to contain measurable amounts of goitrogens, oxalates, or purines. Nutritional Profile Introduction to Food Rating System Chart The following chart shows the nutrients for which this food is either an excellent, very good or good source. Next to the nutrient name you will find the following information: the amount of the nutrient that is included in the noted serving of this food; the %Daily Value (DV) that that amount represents (similar to other information presented in the website, this DV is calculated for 25-50 year old healthy woman); the nutrient density rating; and, the food's World's Healthiest Foods Rating. Underneath the chart is a table that summarizes how the ratings were devised. For more detailed information on our Food and Recipe Rating System, please go to www.whfoods.org.